Condition: Good, general age-related toning. Small worm hole in lower part of the folding line. Please study image carefully. Image size: 40 x 31 cm. 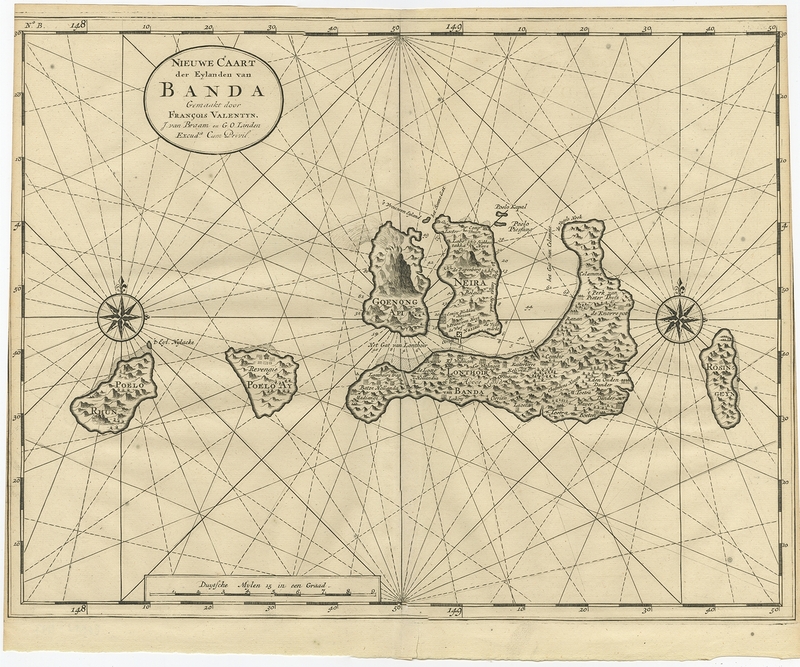 Description: Antique map Indonesia titled 'Nieuwe Caart der Eylanden van Banda'. 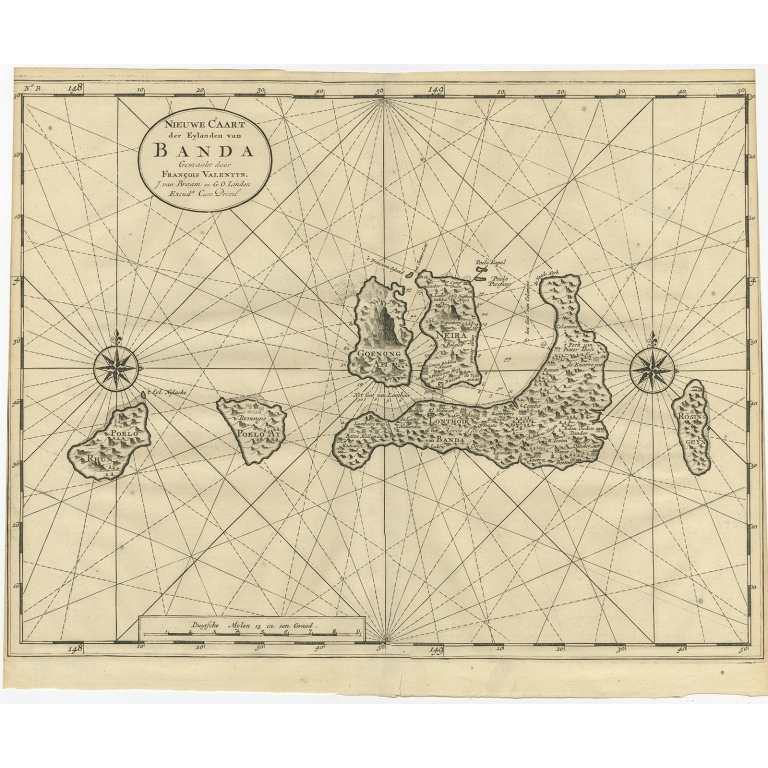 Beautiful chart of the Banda Islands including Banda Api, Banda Neira, Banda Besar, Pulau Hatta (Rosengain), Pulau Ai and Pulau Run. This print originates from 'Oud en Nieuw Oost-Indiën' by F. Valentijn.